I could not even begin to imagine how many cars cruise along the desert highway between Southern California and Las Vegas, see the “50’s Diner” billboards and signs, and continue on their way. We have been guilty of that ourselves on multiple occasions. But thanks to one fateful drive home from a weekend getaway (and a gnarly craving for milkshakes), we finally stopped in and I’m so glad we did. The walls were completely covered with paraphernalia of Marilyn Monroe, Elvis, and The Beatles. Album covers, concert posters, autographed portraits, all neatly arranged in a nostalgic mosaic. The entire left side of the diner is actually a gift shop dedicated to 50’s memorabilia, an impressive collection indeed! Martin’s eyes immediately locked onto the list of shakes and malts – selecting the chocolate one. It arrived in the classic tall, tapered glass along with its metal mixing cup. Already off to a great start! He took one sip and was hooked. 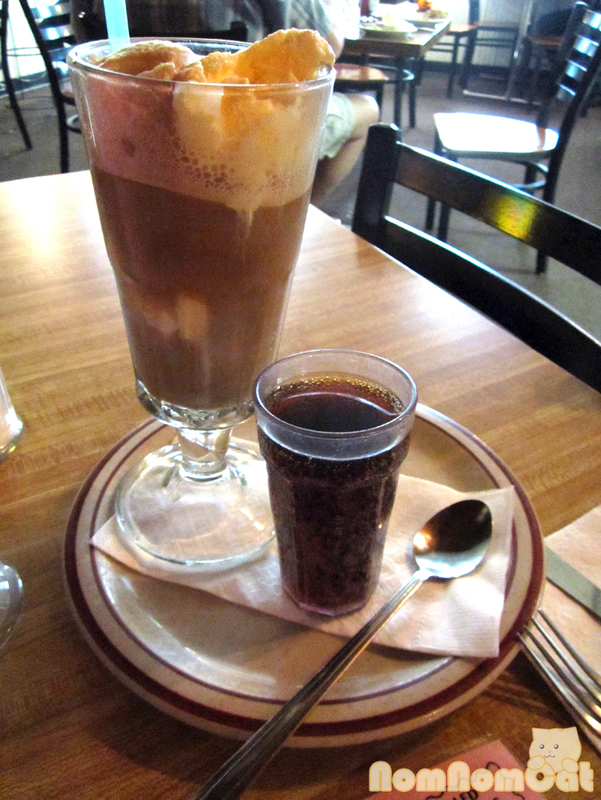 The real old fashioned ice cream touted on the menu was no joke – it was creamy, thick, and made for an excellent milkshake. 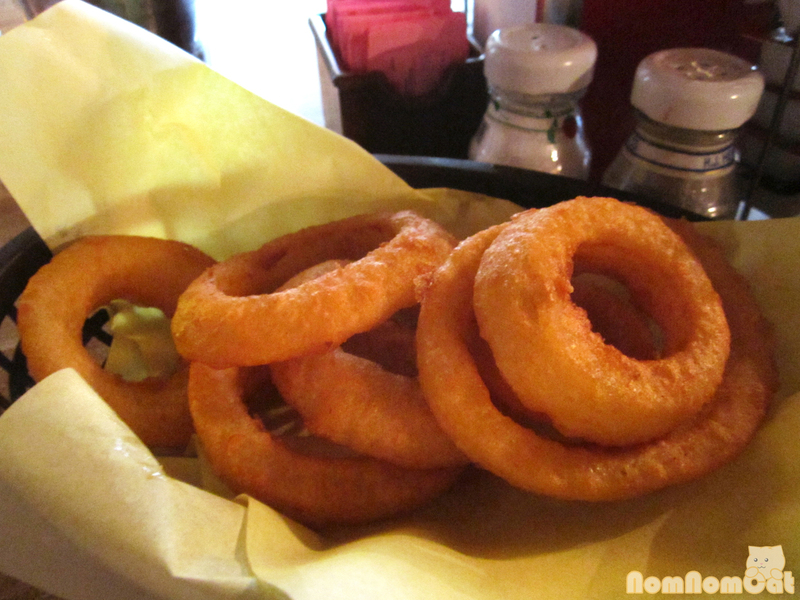 Like two high school students on a first date, we started with an order of onion rings to share. Crunchy, fried-to-order, and beautifully golden, the onion rings were served with ranch dressing, although we liked them just fine with ketchup. No complaints here! 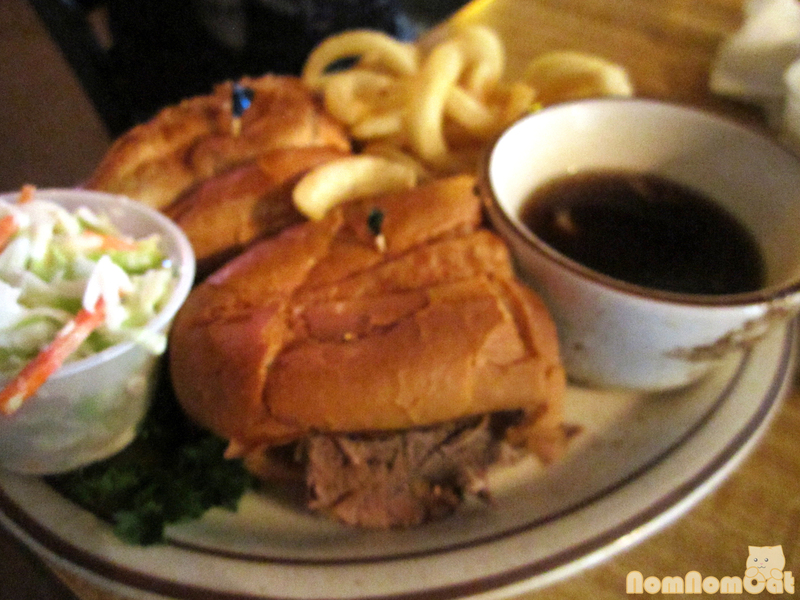 For his entree, Martin selected the Fabian French Dip — lean sliced roast beef with savory au jus on a French roll. It’s no Philippe’s, but it was definitely a hearty and delicious sandwich. The generous layers of roast beef soaked in the hot jus and made for a simply satisfying experience. Did I ever mention that chicken fried steak is a guilty pleasure of mine? I guess I did make that brief comment about comfort food in other cuisines having the capability to be equally comforting to those unfamiliar with them, when I last wrote about okonomiyaki. Chicken fried steak has the same effect on me. I don’t think I ever had Southern food growing up, but there’s just something about the thick gravy slathered over deep-fried beef that just really hits the spot. 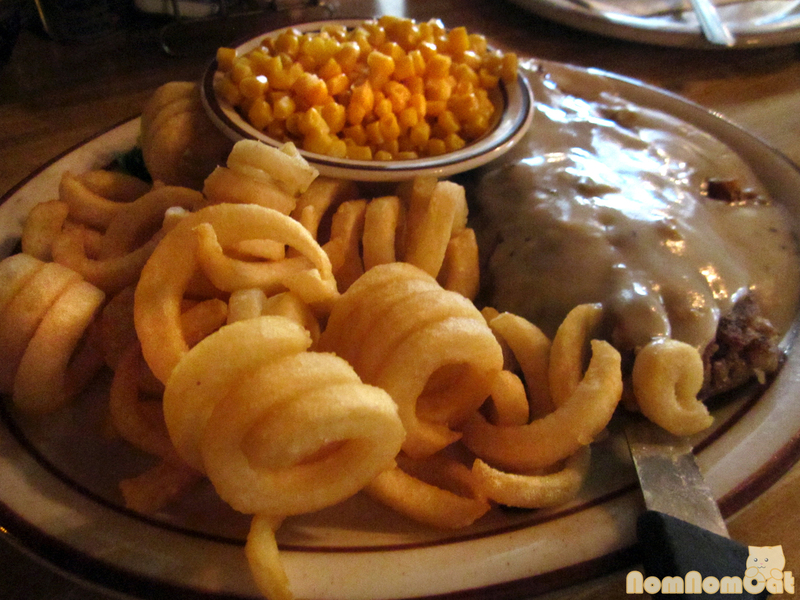 The battered and fried steak was tender. The curly fries were crispy and fun (I mean, just look at them!). Oh, and what Southern meal would be complete without cornbread?!?! 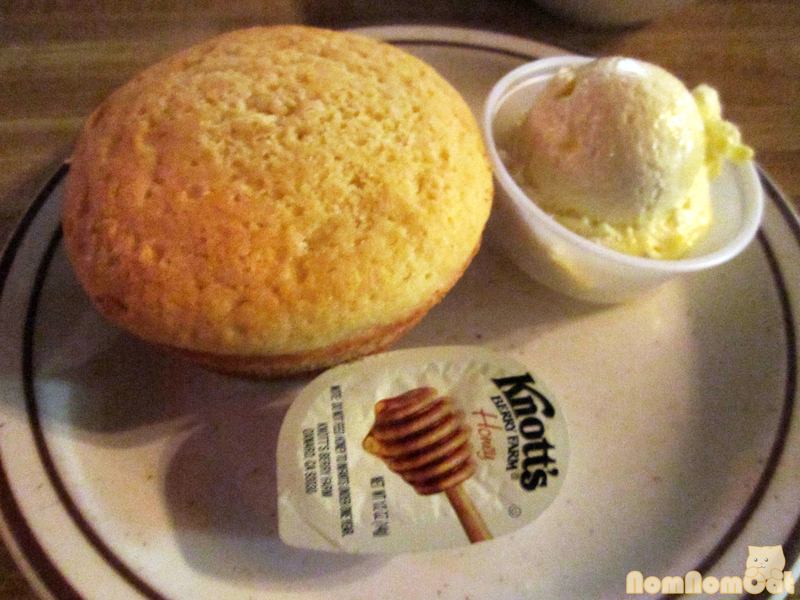 The adorable little cornbread muffins here were moist and a great balance of sweet and savory. It was the perfect accompaniment to my entree, also listed on the menu as “truckers’ favorite.” (In retrospect, that may explain the slightly perplexed look on the waitress’s face when this little Asian girl so enthusiastically ordered it). All of the staff here were so friendly and we felt truly welcome in this diner that seems to have frozen in time. It’s not the best place to stop by if you are in a hurry, but while you wait for your food, there are some fun trivia questions about the 50’s era on the table and the jukebox continuously bumps classic tunes. 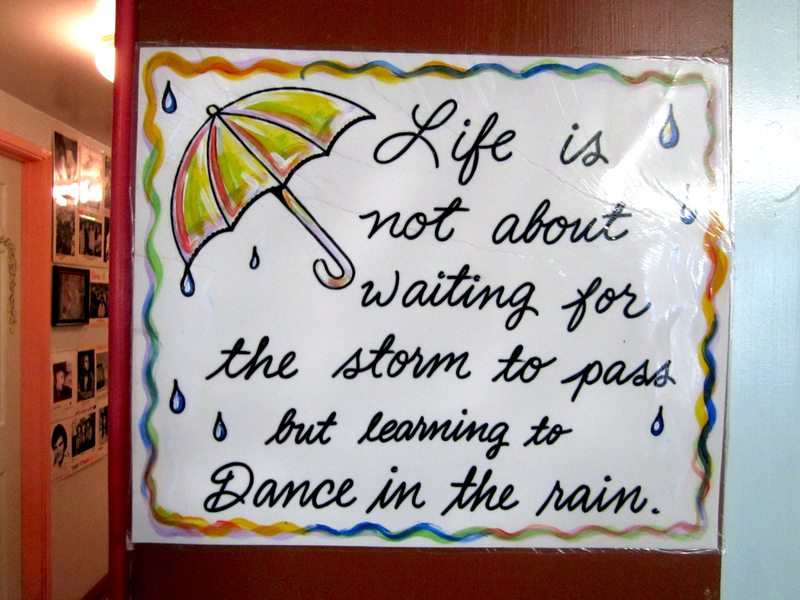 I’ll admit – a good chunk of the reason to stop by Peggy Sue’s is for the novelty. 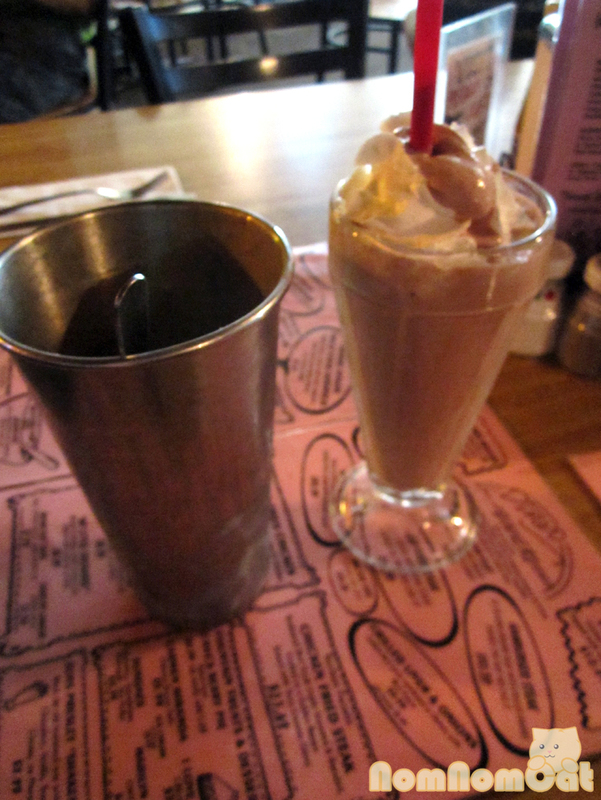 But even with the kitschy “diner”-saurs outside, they make a mean milkshake and some good ol’ no-frills comfort food. You can bet I’ll be voting to stop by here on our way to or from Vegas next time!